Presented by jpw systems inc.
Register a family of 4 or more on the 2.5K or 5K ONLINE and SAVE $5 per person. ONLINE registation closes on March 24th, 2016 at 3 p.m. - no family discounts after this time. You are welcome to register in person (cash only) on Race Day as long as spots are still available. KIDDIE DASH REGISTRATION WILL CLOSE AT 3 P.M. ON MARCH 24TH - REGISTRATION WILL ONLY BE AVAILABLE FROM 9:00 TO 9:30 A.M. ON RACE DAY. 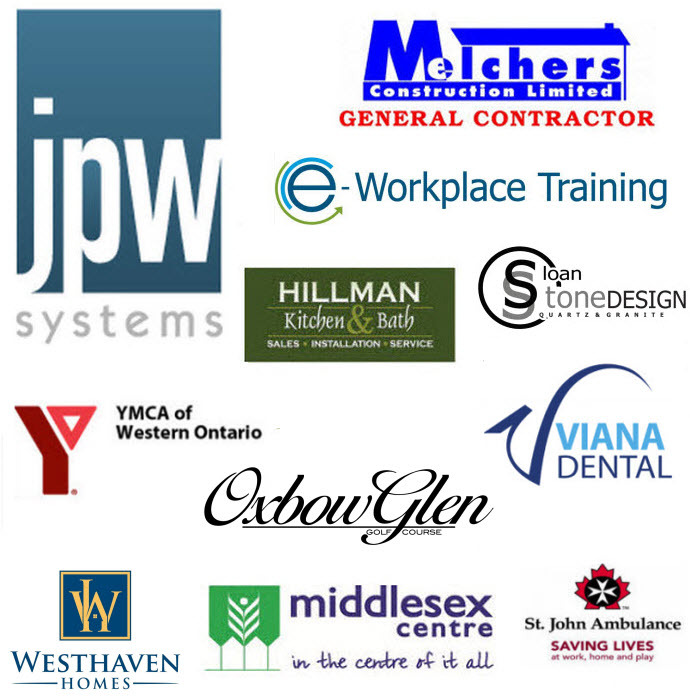 Thursday March 24th from 5:00 p.m to 8:30 p.m at Middlesex Centre Wellness & Recreation Complex, 1 Tunks Lane, Komoka. If you can't pick up your race kit in advance you can pick it up early on race day. Please allow enough time for parking in case of congestion on race day and carpool if possible. For the safety of our runners and walkers, please do not park on: Tunks, Railway Ave or anywhere on the race route. Don't forget to wear bunny ears or come in a costume to qualify for great prizes! Race Bib Draws and the YMCA 1 Year Family Membership for 2.5 KM & 5 KM participants will be drawn at 11:30 a.m and you must be present to win. For the safety of our runners/walkers - no pets, bicycles or rollerblades. Single strollers only please. 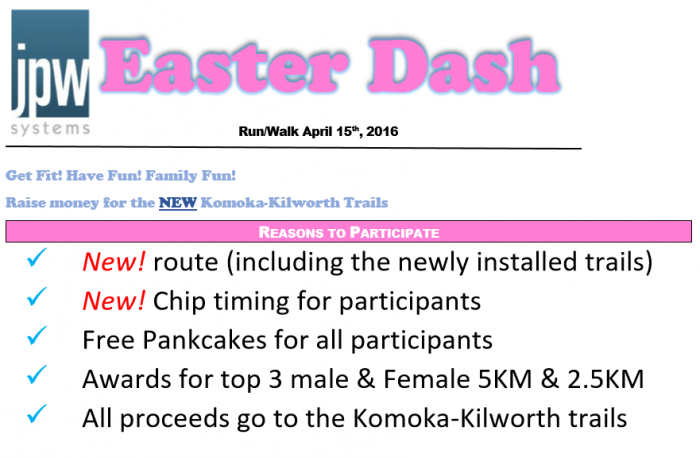 Proceeds from the 2016 Easter Dash will continue to go towards the creation of a trail in the lands surrounding the Komoka Park and Community Centre. The Trail project partnership with the Municipality of Middlesex Centre will give all residents and visitors the opportunity to safely enjoy nature, get active and spend quality time with friends and family.